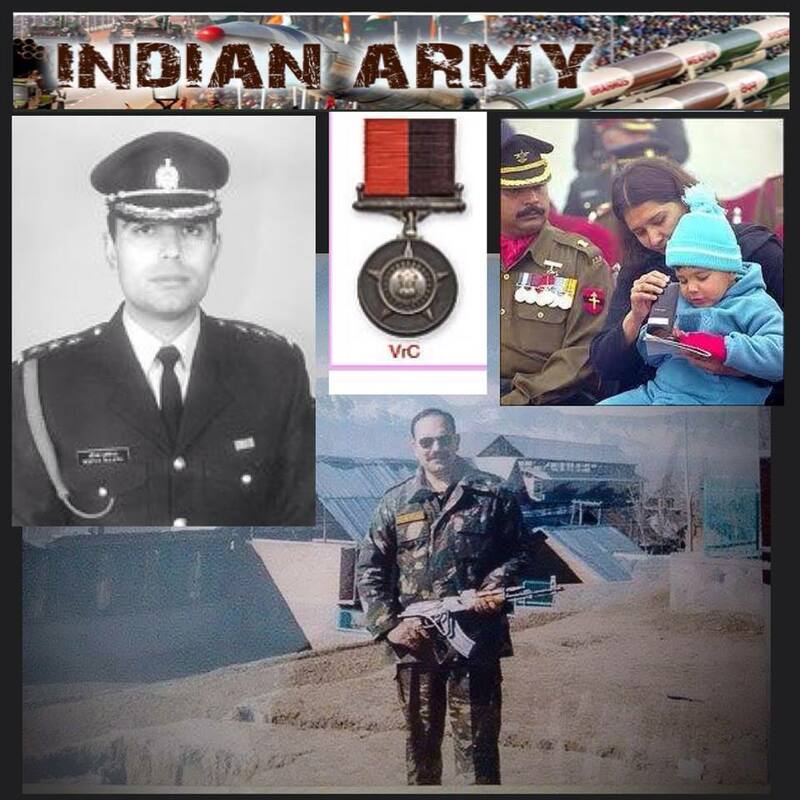 Captain Deepak Guleria was Born on 9 Mar 1969 he was the son of Mr M.L. Guleria,a retired DIG (CRPF).Captain Deepak Guleria was from Ajmer His native village is Cholthara in Sarkaghat subdivision of Mandi district .After graduating from Layola College, Chennai, his Army career took off in May 1991 when he joined Officer’s Training Academy (OTA) in Chennai.He was initially appointed as CHM in Naushera Company and later commissioned as Second Lieutenant into the Army Service Corps in March 1992.An avid sportsman, he was a good lawn tennis, table tennis and basketball player. He had also won several sports events, both at the Services as well as national levels. To add glory to his career, Deepak was asked to lead a joint service car rally as part of the Golden Jubilee celebrations of India’s Independence. On December 1997. While he was serving at 514 ASC batallion at Dehradun, Capt Guleria married Poonam, daughter of Wg Cdr HL Ratta, in December 1994. 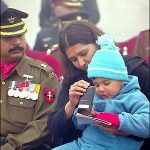 Son Dhruv was born to the couple on April 8, 1998, when he was serving in the army HQ TPT Company as an adjutant. Fate had taken him to Jammu and Kashmir, where he was posted as staff captain to 3RR Sector HQ.Brightest officer Captain Deepak Guleria in J&K during the Kargil War. On June 18 militants had engineered an IED blast on the Srinagar-Kargil highway and Capt Guleria had responded spontaneously by forming a rescue team and evacuated the injured civilians and soldiers. They were sent to a nearby helipad to be taken to the hospital.When he was about to return to base, a second blast took place and Capt Guleria was hit by a barrage of shrapnel. After administering first aid, he was taken to the base hospital at Srinagar. But the 30-year-old officer succumbed to his injuries on his way to the hospital. Captain Deepak Guleria is survived by his Father Mr M.L. Guleria,a retired DIG (CRPF) Wife Poonam Guleria and his eight-year-old son Dhruv Guleria. June 18, 1999 1998, when he was serving in the army HQ TPT Company as an adjutant. Fate had taken him to Jammu and Kashmir, where he was posted as staff captain to 3RR Sector HQ. On June 18 militants had engineered an IED blast on the Srinagar-Kargil highway and Capt Guleria had responded spontaneously by forming a rescue team and evacuated the injured civilians and soldiers. They were sent to a nearby helipad to be taken to the hospital. When he was about to return to base, a second blast took place and Capt Guleria was hit by a barrage of shrapnel. After administering first aid, he was taken to the base hospital at Srinagar. But the 30-year-old officer succumbed to his injuries on his way to the hospital. 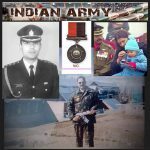 Capt Deepak Guleria was awarded the a˜Sena Medal (Gallantary) posthumously on January 15, 2001.